Between a fight at school and, most of all, his dysfunctional family, little Max (Emjay Anthony) is very disillusioned by the holidays. 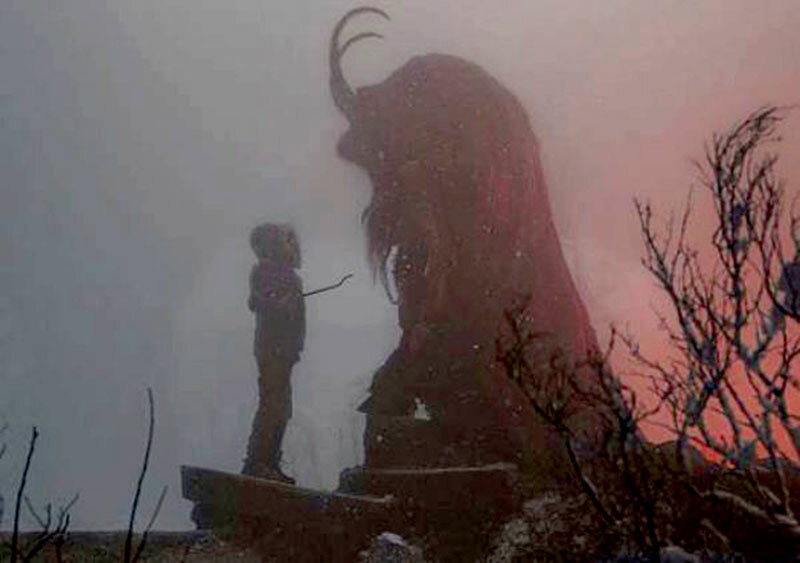 What he doesn't know is his actions and feelings unleashes the Christmas demon known as Krampus. 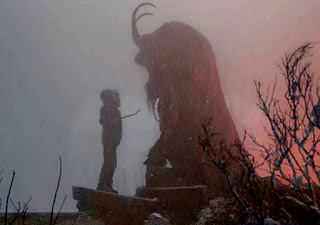 Krampus punishes those who disrespect Christmas. He and his family are trapped inside their house, while Krampus and his minions take them away one by one. 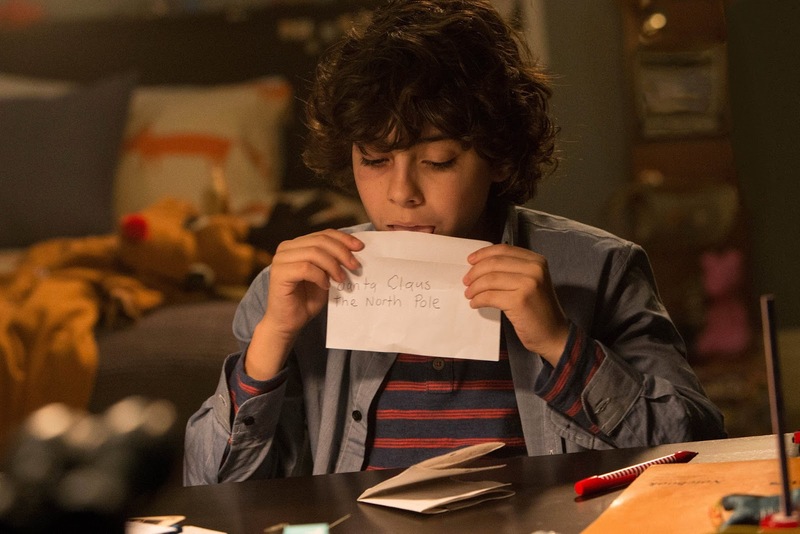 Director/ co-writer, Michael Dougherty, who made the modern Halloween classic Trick 'R' Treat, brings the same level of greatness to the Christmas horror film that he did on that one. The result is a film that is supremely fun and thoroughly enjoyable. The structure of the film is one of its' strongest points. As it progresses it only gets better and better, until it reaches it's exciting climax and highly satisfactory ending. It's subversion of Christmas imagery into a funhouse nightmare only adds to its' charm. 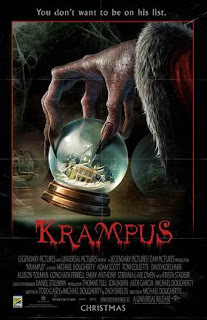 As with his aforementioned horror anthology this movie has a warning about happens when you don't respect the holiday that the film revolves around. There is even loving tributes to other Christmas movies like Joe Dante's classic Gremlins (in my opinion the best Christmas horror movie, ever) and possibly even Die Hard 2: Die Harder (if you can catch this one let me know!). 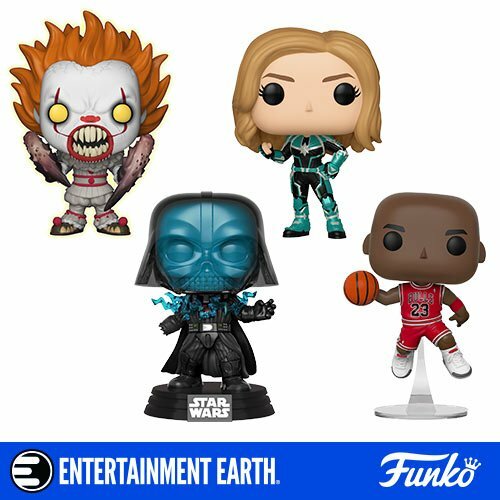 For once the PG-13 doesn't hamper the film, something I actually feared would occur in this movie. 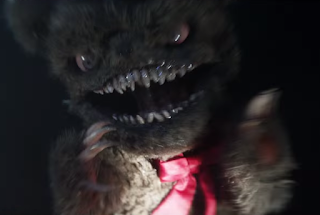 Humans are taken away, but the monsters do die suitably gory deaths, which since they happen to teddy bears and such don't warrant the fury of the MPAA. The mix of practical FX and CGI is excellent. The creatures all look cool and wonderfully creepy. It's as if someone took bits and pieces of ideas earlier seen in Full Moon, and made a better movie with them. The killer gingerbread men are a sight to behold. The humor and the horror mix quite well, being funny and still maintaining an sense of threat and tension, throughout its' running time. The cast is all wonderful. While, I have heard minor complaints that many of the characters are unlikable, I think those who say that miss the point. I think many of them are suppose to be so, after all that is why they are being punished. Regardless, the are sympathetic characters that we care about, mostly the boy's mom, dad, sister, and grandma, the later of whom knows what is happening. 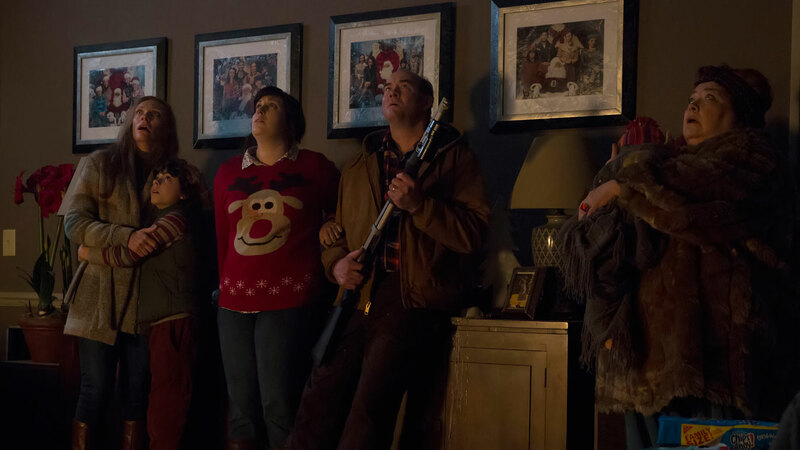 Krampus is the single most fun horror film that has received a major release this year. It leaves you feeling good and wholly satisfied. 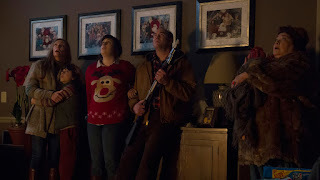 What's even more shocking is that ranks among the very best of Christmas horror movies. With this and Trick 'R' Treat not only does Dougherty define himself as one of the best horror directors, but one of the finest masters of holiday themed movies.